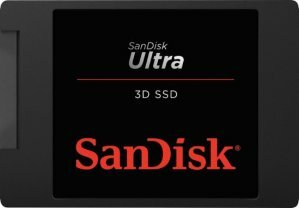 Best Buy offers the SanDisk Ultra 512GB Internal SATA Solid State Drive for $69.99. Features: Store files safely on this 512GB SanDisk solid-state drive. It has write speeds of up to 530MB/sec. for quick data transfers, and its SSD dashboard helps you optimize the disk's performance. This SanDisk solid-state drive is constructed with no moving parts to protect it against damage from shock and vibrations.